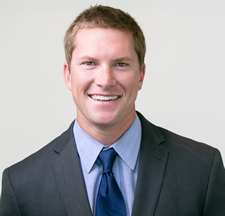 Spencer Van Schaack is the VP of Development at Convergence Investments. He joined Convergence in 2014 as a Senior Analyst and Project Manager. Van Schaack has extensive project management experience after working for Denver-based Adolfson & Peterson Construction managing several $20-40 Million projects. He has been a part of multiple award-winning construction teams, including the team which led the Suncor Energy HQ in Denver, CO to achieve LEED Silver Status in 2013. Van Schaack is an expert at analyzing and coordinating project progress, costs, budgets, and cash flow while managing strict schedules. He manages all construction activity throughout the U.S. as it relates to the Convergence Opportunity Fund Portfolio from pre-construction and approvals through site improvements, lot delivery and sales. Van Schaack earned his B.A. in Geography from Syracuse University where he captained the 2009 National Championship lacrosse team. He earned his MBA with a concentration in Real Estate and Construction Management from The University of Denver. Van Schaack is an avid snowboarder, angler and outdoorsman and the current VP of the Star Valley Chapter of Trout Unlimited. He lives in Wyoming with his wife and two dogs.